Paris started training parkour five years ago at Urban Evolutions in Alexandria, Virginia after coming across a living social deal. She explained, “I went for an intro class and was hooked immediately...It was a completely different way to move. I learned to look at the world differently through that.” Parkour is a free flowing discipline that seems part urban gymnastics part self-expression. It emerged in France in the 1980s and has since spread all over the world to include DC public schools. When I think of parkour, what comes to mind is the fast-paced opening scene of Casino Royale (2006) where Daniel Craig, newly installed as James Bond, chases French actor Sebastien Foucan through city streets and a construction site. The movement is dynamic, efficient and powerful, taking advantage of the urban environment—benches, walls, rails, cranes—anything is fair game. It looks exhilarating but also scary! Foucan is actually the founder of a variant of parkour—free running—which involves more creative self-expression. For the uninitiated, bouldering as a beginner is not easy. Strength and flexibility aren’t enough. It’s also about analyzing a problem set and incorporating beta, the way a route is typically read. Even beta can change depending on a climber’s size and preference for either methodical static climbing or powerful dynamic moves. 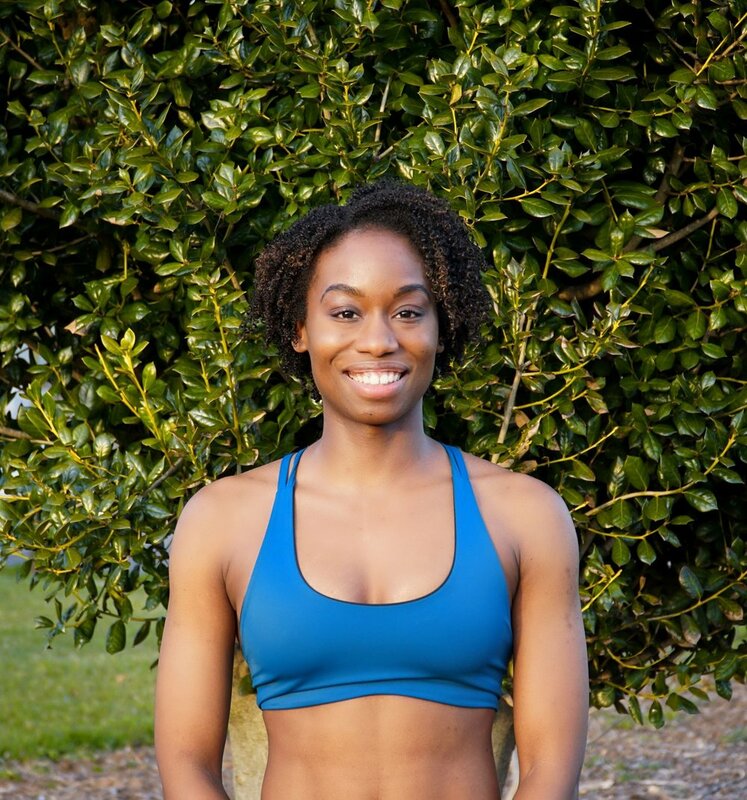 To get and maintain her incredible strength, she follows a strength and calisthenics workout plan and climbs 4x a week for fun. She also works on her cardio and agility on obstacles. What else attracted Paris to bouldering? Well, “you don't need a lot of equipment, you don't need to always have a partner with you.” She also likes the problem solving aspect of climbing and being able to do crazy things with your body. But the inclusive community is also what drew her to the sport. People might not automatically think community when they think of an adventure sport like climbing so we were curious about Paris’ experience. How welcoming is the community? And did you ever feel like you stood out as a Black Woman in a traditionally White male dominated sport? Ambreen Tariq recently wrote about the challenge of trying something new when you are the only person who looks like you. Paris had this to say: “I've become somewhat comfortably uncomfortable in that environment but it's still something that can be intimidating. I guess my advice in that scenario is to push past that uncomfortable feeling and do it anyways. Everyone tends to be very welcoming.” She also recommended getting involved with groups that promote diversity in adventure sports such as Brown Girls Climb because “getting awareness and joining early is a great strategy. That’s the main thing in addition to working past discomfort.” Even if community isn’t what initially draws people to try an adventure sport, it’s often the reason why they stay. So how did Paris go from parkour to climbing to American Ninja Warrior? A friend at her climbing gym encouraged her to apply a week before the deadline last year. They put together an edited video last minute but she didn’t get her hopes up. Maybe that’s why she was so excited to get the call that she had been selected. And nervous! But things didn’t exactly go according to plan. She had always been aware of her performance anxiety from participating in team sports growing up. In the moment, she would dissociate. But she also assumed that her experience was no worse than different from anyone else’s. The night of her qualifying round for Season 9 finally arrived. The filming was overnight so she ran the course around 4am. Aside from the fatigue, she was surrounded by celebrities and incredible athletes. The experience was exhilarating but also intimidating. She felt the familiar anxiety creep up. “I got called to go back and get ready to go on. As I’m waiting in line a camera guy came and looked at me and was like ‘do something you’re on camera.’ I had no idea what to do. Once it was my turn to start I walked up. You’re waiting for a few seconds before the start (there’s a countdown person).” Paris made it through the first obstacle but wasn’t mentally prepared for the second. She fell. And just like that her competition was over. In her eyes, you get back up and keep training! In addition to becoming physically stronger, she’s incorporating “anxiety coping strategies like visualization, breathing techniques, and grounding” to become mentally stronger. What does Paris do outside of climbing, parkour, and ninja? She works as a business analyst for the government and commercial businesses. She manages who’s on their networks and makes sure the networks are secure. You can follow Paris (@paris_mvmt) on Instagram to see her continue her ninja and climbing training!